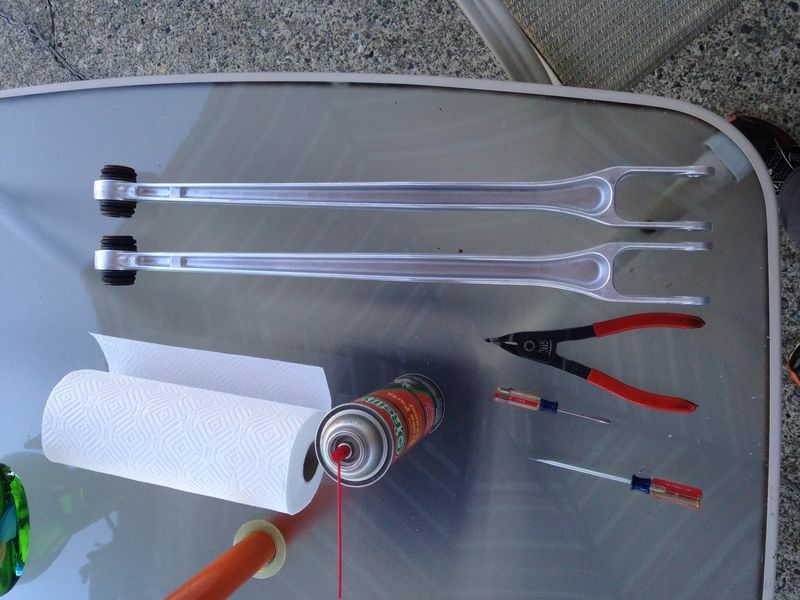 As an alternative to replacing the rear trailing arms with new parts, as initially suggested in this renntech thread, I found it is indeed possible to rebuild the existing, rattling rear trailing arms. Through this I also gleaned some additional observations and recommendations, not covered in either above-linked thread, which I'll outline below. Next, we'll want to make these used arm perform at least as good as (or ideally, better than) new! I was able to feel some shifting in the one spherical bearing which in my car, I believe was making noise. 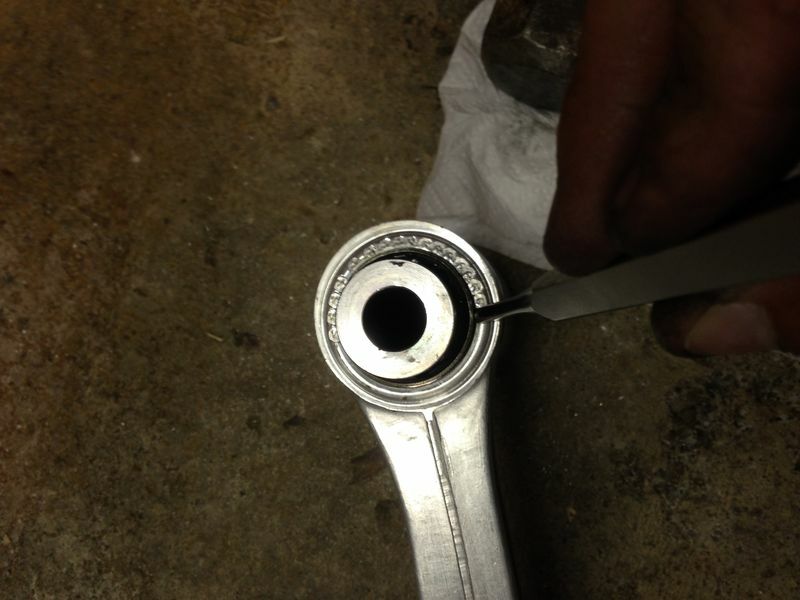 I went ahead and preventively rebuilt the bearing in both. By rebuilding, I mean cleaning, re-lubricating, and tightening up the clearances. It's amazing how much noise just a few thousandth of an inch of play in these bearings can allow to be transmitted into the cabin! Last edited by jakeru; 08-31-2017 at 12:39 AM. Here you can see I have a start at going around the crimp with the punch for the first time. I found several round trips around was necessary, and angling the punch inwards to dig the corner in deeper and apply some inward pressure on the lip of steel insert, to get the desired noticeably increase binding action I was looking for on the spherical bearing. 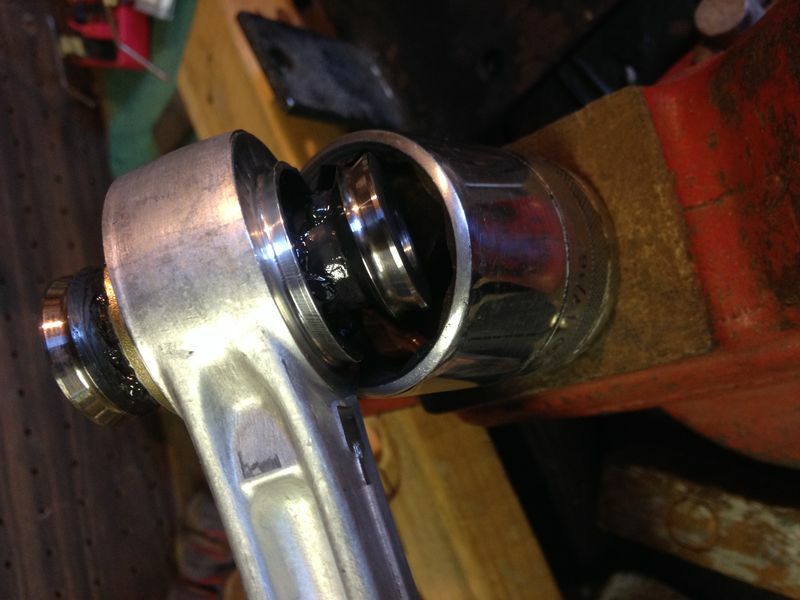 I stopped hammering when there was a moderately noticeably increase bind on the spherical bearing, because I wanted to tighten it up, give the joint was already "broken in", I didn't want it to bind as hard as a brand new trailing arm. (I understand they are difficult to even move by bare hands). I found it took quite a lot of hammering action to accomplish this - hard blows delivered multiple times around the crimp. No need to be shy here! Just make sure the punch, and support on the back side are all in the right spot before you hit with that sledge. Once you've got your re-lubricated, tightened up joint, you'll want to replace the boots and clips. I found reinstalling inner spirolox clip to be the most difficult, and ended up vice-gripping each end of the spirolox, and rotating the spiral open larger, then installing over the receiving rubber groove, before releasing the vice grips while guiding the spirolox into the target rubber groove with a small screwdriver. (..whew - a lot of monkey business to reinstall those spirolox!). 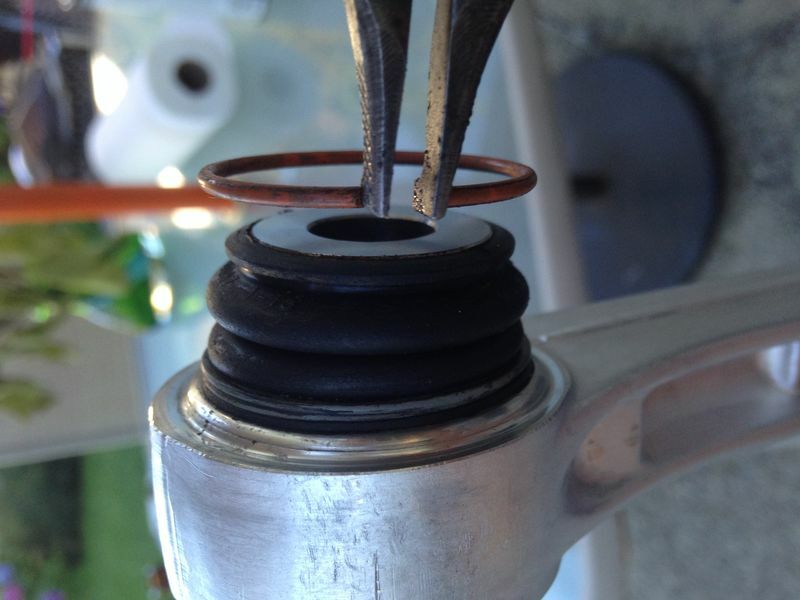 Re-installing the outer circlips with the earlier shown pliers on the other hand, was a piece of cake. 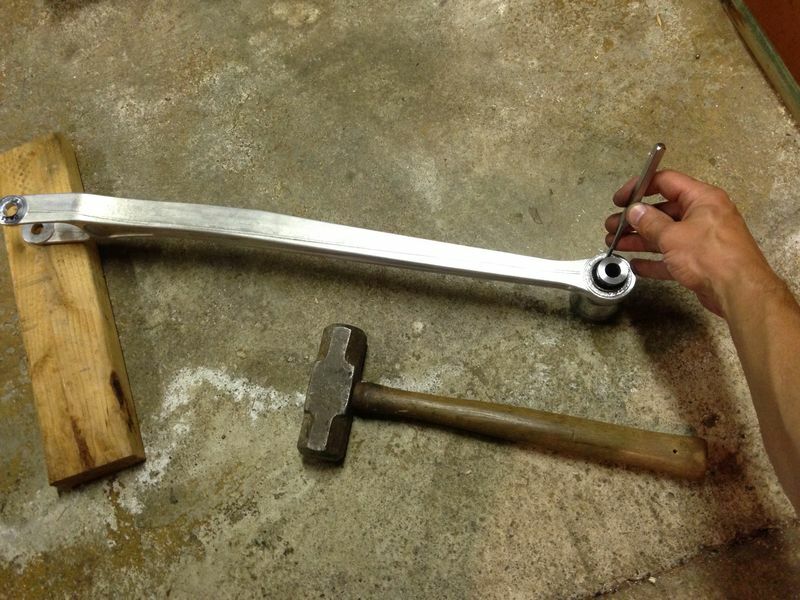 Re-install both of your freshly rebuilt trailing arms, and as stated in the other linked threads above. 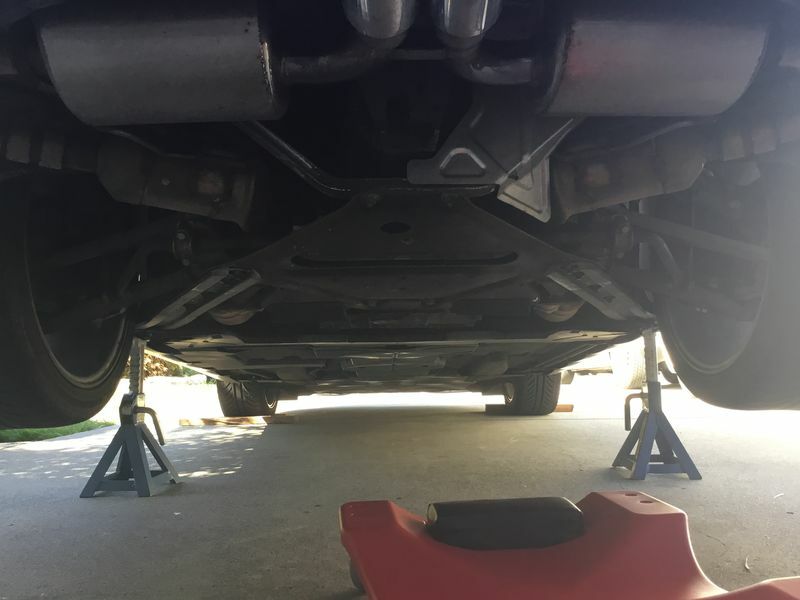 torque those retaining fasteners (both front and rear) to the spec of 118 ft-lbs. 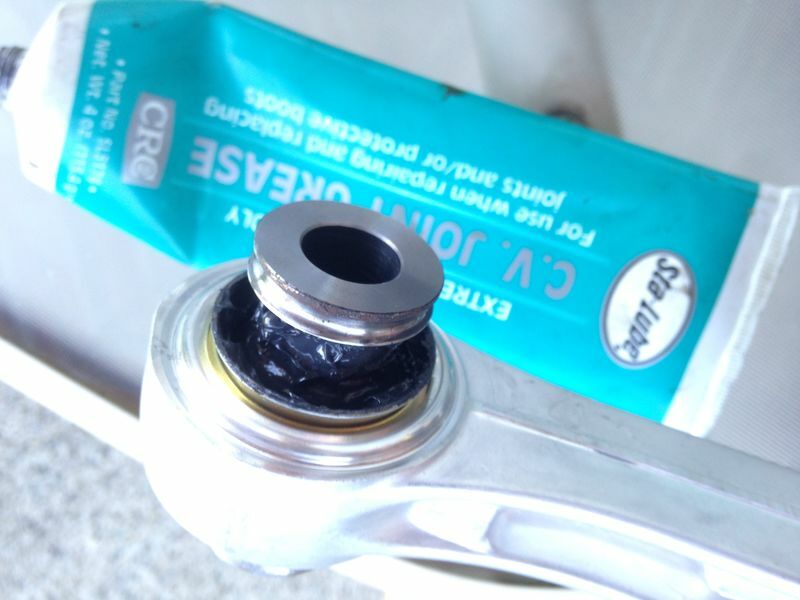 In my opinion, you shouldn't worry about pre-loading the suspension (as it makes no difference with spherical bearings anyway), reinstall the rear under-car shield with the 10mm plastic nuts, and enjoy your new quiet ride! Suspension alignment shouldn't be affected through this. One cautionary warning on this noise fix, as others have reported when replacing the arms with new, is once this obnoxious source of noise has been taken care of, you may start hearing some other, more quiet noises. (However, I assure you, taking care of these obnoxious noises is still worth it, and also as I hope you've learned in this thread, needn't require you to fork over hundreds of $ on new, unnecesssry replacement parts, either)! Nice writeup. 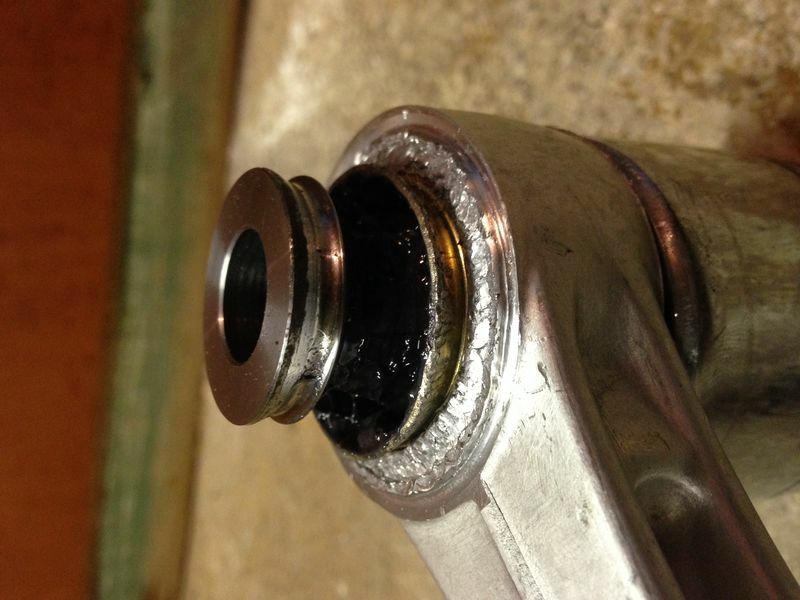 I don't think brake cleaner would hurt the boots, otherwise it would harm caliper piston seals. Maybe for kicks I should try this on the old set I have in the garage. Thanks for taking the time to post this. I have an old set of arms that I didn't dispose of and a car that's rattling. Hope to get it done soon and swap them out. One cautionary warning on this noise fix, as others have reported when replacing the arms with new, is once this obnoxious source of noise has been taken care of, you may start hearing some other, more quiet noises. 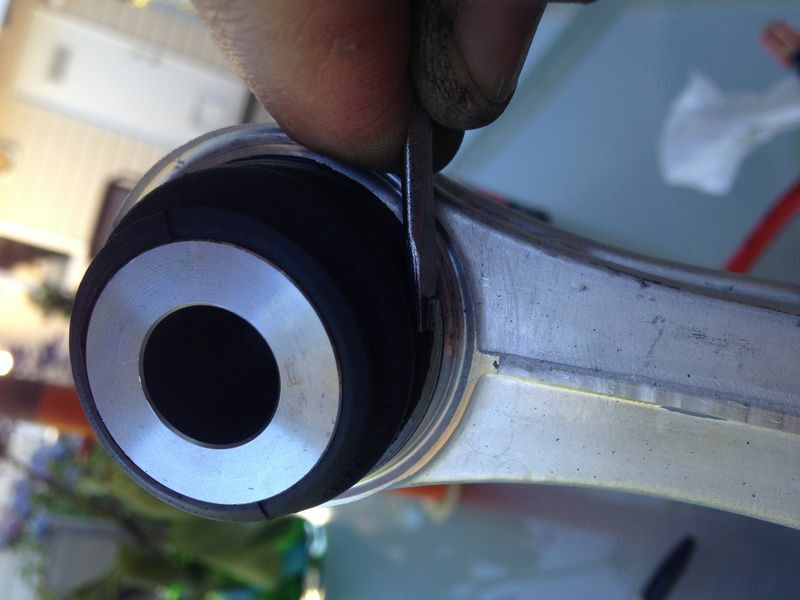 Another easy to fix rattle, while you have the car raised, is the rear sway bar bushings. ~20 years can harden them even on a low mile car. 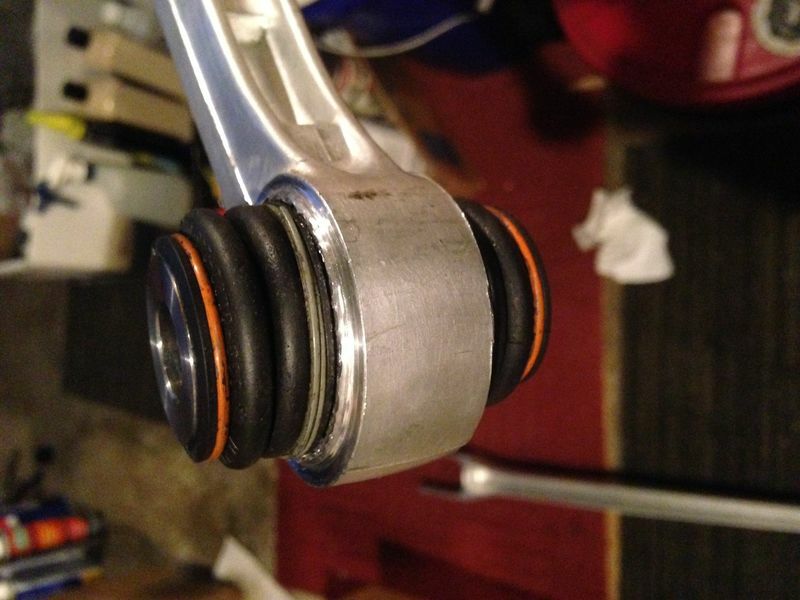 New trailing arms cost so little it doesn't make any sense to try to repair them. The forces are also so great that I doubt a repair like this will hold. 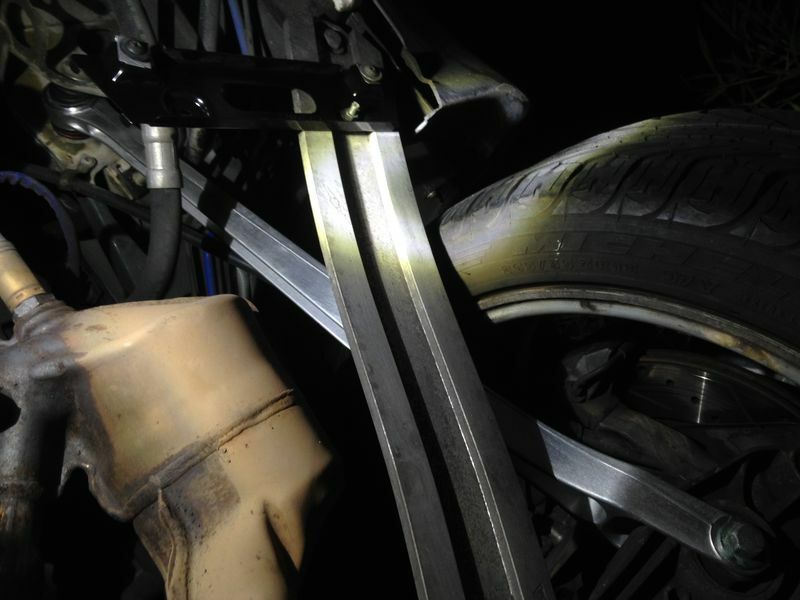 Remember that all acceleration forces, and all rear braking forces are transferred to the chassis through the trailing arms. Not to speak about the bangs from pot holes. Thanks for the words of encouragement and appreciation, 78f350, Deserion, and nine8six! I hope this is useful to other forum members who are considering doing repairs & improvements themselves. Anker - I also appreciate you weighing in, but must respectfully disagree about sharing your personal opinion that this repair "doesn't make sense", and your assertion that the "forces are so great" [that] "it won't hold". Obviously, the forces are pushing the limit (if only, by just a a bit!) on what "new" design bearing would hold, or otherwise the factory joint wouldn't have developed any slop, even the small amount I observed in my joints (I'd guesstimate only one of my two 120k miles joints had only about .005"-.010" play - althogh it is enough to hear going over pavement joints in the cabin of the car). 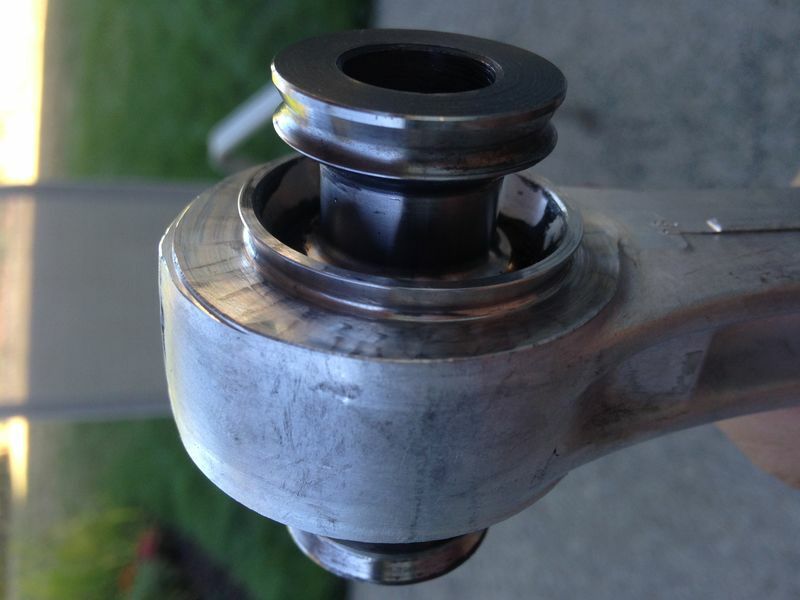 However, the likely weakest material involved in these joint is the white plastic balljoint liner, which is probably teflon (PTFE) or something similar, used for reduced friction. Anyhow, I think it most likely that the factory teflon liner probably got pounded a bit (.005"+ very plausible compression, as given the piece is probably .065" or so thick, that's only ~10%+ thickness reduction) after this sort of high miles, 100k+ mile use. 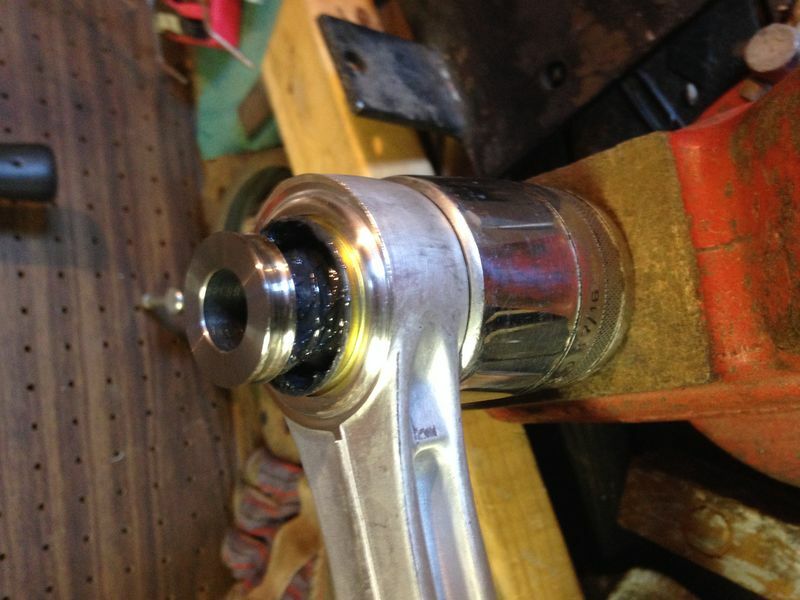 Even if the aluminum housing gets pounded, forced a bit more into a shape which conforms with the inner metal spherical bearing, I'd surmise that rebuilding in the way I describe (by tightening up a "seasoned" or "broken in" joint like this evenly, while also ensuring the lubrication and sealing from the outside elements is "as good or better than new"), stands more of a chance for going longer than the original design ~100k than simply buying a "new", unseasoned, not broken in plastic-lined joint, and simply replacing with that. That's because the softer surfaces which get deformed in use, after being brought closer together after being "broken in", may then be more resilient against further deformation or wear. But then again, that's just my theory. 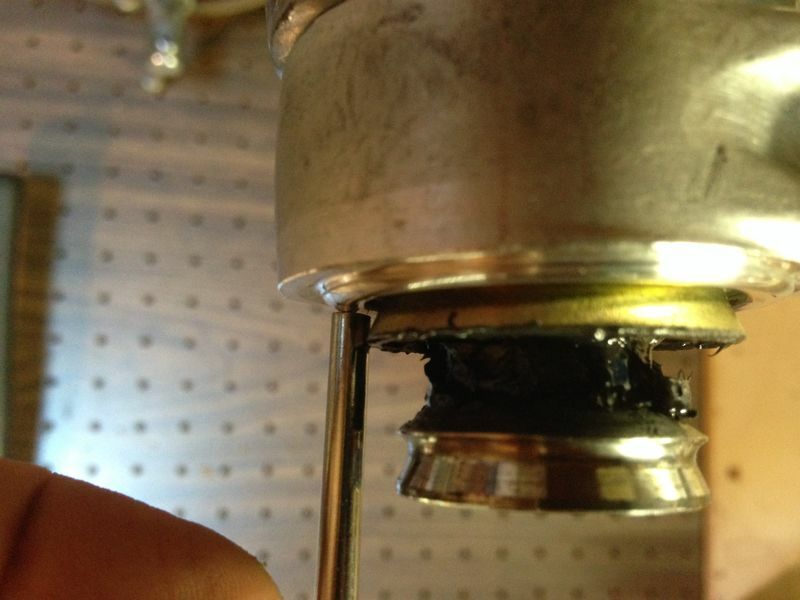 If a new joint lasting only another ~100k is good enough for your needs, the several hundred $ parts cost doesn't matter, you or your mechanic aren't required with necessary equipment or skill to repair (which I attempt to help you decide and facilitate by detailing here), then by all means, replacing with new is probably your best bet. Hope that information helps! Last edited by jakeru; 09-05-2017 at 09:30 PM.